The celebrations in Kuala Lumpur will be jointly organized by the embassies of Russia, Azerbaijan, Kazakhstan, Kyrgyzstan, Turkmenistan and Uzbekistan. 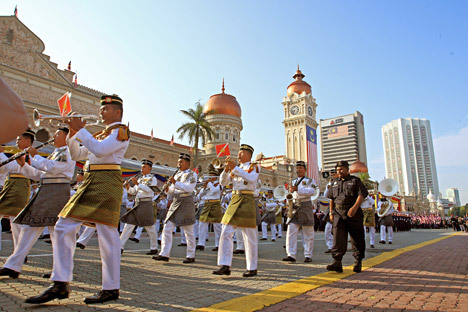 For the first time, celebrations will be held in Malaysia to mark the anniversary of Victory Day, the end of the Second World War in Europe, Russian Ambassador to Malaysia Valery Yermolov told Bernama. The reception would consist of cultural performances and the guests would be served national cuisines from all six countries, according to the report, which added that guest would also be gifted the St George ribbon. Yermolov said guests at the reception on Thursday would be entertained by cultural performances, including by Russian primary schoolchildren and served with national cuisines from all the six countries.